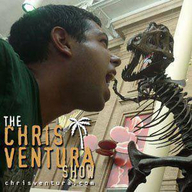 The Chris Ventura Show is an internet radio show coming at you from Los Angeles, California. The show features discussions about everyday topics and new and upcoming artists, produced in the style of FM talk radio. Visit www.chrisventura.com for more!